In addition to all the advantages which are typical of biometric systems, such as not having to deal with keys or codes, the Viro Ram-Touch system offers 10 very useful advanced features which are hard, if not impossible, to find combined together in one product. Speed. Unlike many other systems, recognition of the fingerprint, after sliding the finger across the reader, is very fast. Anti-theft delayed opening. It is possible to pre-set an anti-theft delayed opening, just like in bank safes. In this way, even if you were forced to open the safe or security cabinet, the opening would not be immediate, as it would be necessary to wait for the pre-set delay – without the possibility of turning it off. This solution is a strong deterrent to potential thieves. Silent alarm. 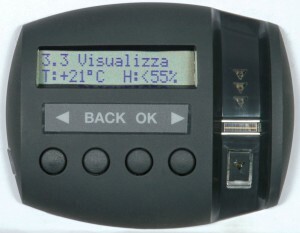 The system is designed to be connected to an external anti-theft system (e.g. phone dialler), which can in turn be connected with the police or with a central security office. The alarm is triggered when the door is opened using a code or an imprint previously associated with that particular alarm. In the unfortunate event that you are forced to open the safe under duress you can then use the appropriate fingerprint or code to raise the alarm without the thief having the slightest suspicion. Vibration alarm. The door is also equipped with a vibration alarm which, if it is connected with an external anti-theft system (siren or a telephone dialer), is able to trip it in the case of a brute force attack. Automatic electronic block (with block duration pre-set by the user) which is activated after 5 consecutive errors, to avoid a series of attempts to guess the combination. Batteries are not a problem. The system uses a low consumption technology which extends the maximum life of the batteries and it uses four normal 1.5 Volt alkaline batteries, to simplify replacement. Viro Ram-Touch warns well in advance, by means of acoustic signals, that the batteries are running low. If, however, the batteries are flat before replacement, the non-volatile memory fitted to the system still retains in the menus all the codes, fingerprints and settings. Dual emergency opening. If the batteries do run out, you can open the door in two ways. 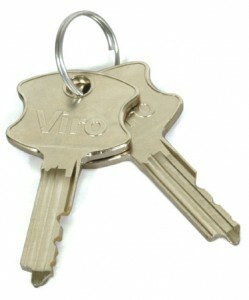 Using a patented profile key, of which two copies are supplied as standard and which can only be duplicated by Viro, sending a fax with a photocopy of the coded ownership card supplied in an envelope with the keys. The emergency lock is also is protected by an anti-drill case-hardened steel plate, resistant to attack. Using an external emergency battery pack which is available on request. Protected electronic card. 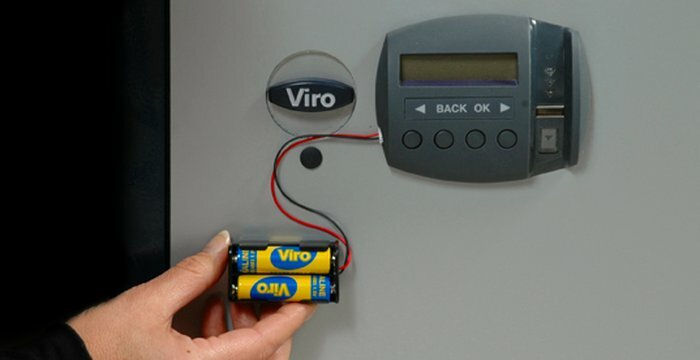 Unlike many electronic products on the market, the Viro Ram-Touch electronic card for safes and security cabinets is protected against attacks by applying high voltage electrical discharges and against possible damage caused by the accidental inversion of the batteries. Advanced functions. 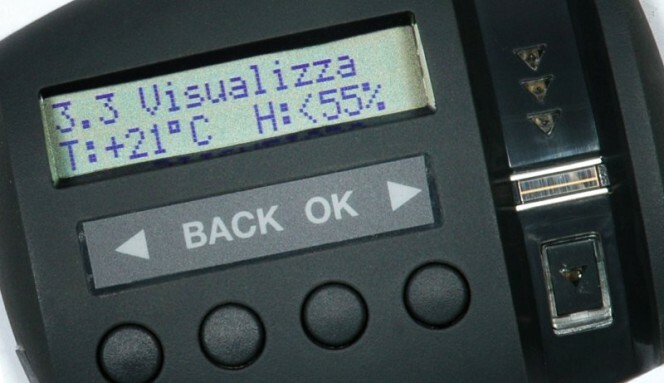 The system offers a number of advanced features, such as monitoring internal climate (to avoid condensation which could oxidise jewellery and watches) and the logging of operations performed (to always monitor when and who used the safe or security cabinet). It is a patented Viro exclusive. 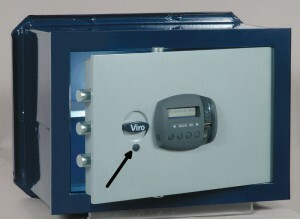 Viro Ram-Touch is not merely a system for opening safes and security cabinets, but a truly integrated security system which is able to satisfy the most advanced requirements. 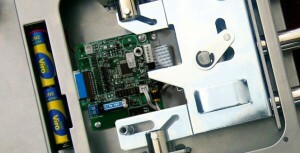 Look at the technical details of the Viro Ram-Touch biometric opening system. Watch the advanced features of the Viro Ram-Rouch biometric opening system. This entry was posted in Safes and tagged products on 6 July 2015 by Mara Rossi.